(a) That the honourable court be pleased to grant a temporary injunction against the respondents, their servants, agents, and or such persons claiming under the respondents from demolishing, evicting, terminating leases or tenancies, transferring or in any way interfering or alienating the suit premises. (b) That an order compelling the respondents jointly and severally to reconnect sewerage systems, water supply and toilet facilities, perimeter fence and other amenities to the suit premises. (c) That the respondents be compelled to accept rent from the petitioners and the persons they represent forthwith or in the alternative, to deposit the same with the court. 4. That an order that the respondents pay the costs of this application. (a) The right to accessible and adequate housing and to reasonable standards of sanitation as provided for under Article 43(1) (b) of the Constitution of Kenya 2010, Article 11 of the International Covenant of Economic Social and Cultural Rights as read with Article 2(6) of the Constitution of Kenya 2010. (b) The right of access to information held by the State and another person (sic), and required for the exercise or protection of any right or fundamental freedom as protected by Article 35(1) of the Constitution of Kenya and Article 9 of the African Charter on Human and Peoples Rights as read with Article 2(6) of the Constitution of Kenya 2010. (c) The right not to be treated in a cruel, inhuman or degrading manner as protected in Article 29(f) of the Constitution of Kenya. (d) The right to fair administrative action as protected by Article 47 of the Constitution of Kenya 2010. (e) The right of every child to be protected from inhuman treatment as guaranteed by Article 53(1) (d) and Article 37 on the Convention of the Right of the Child as read with Article 2(6) of the Constitution of Kenya. Further, the best interests of the child are of paramount importance in every matter concerning the child as recognized in Article 53(2) of the Constitution of Kenya 2010. (f) The right of older members of society to live in dignity and respect as protected by Article 57(c) of the Constitution of Kenya 2010. “(A) A declaration that the 1st to 10th petitioners, the persons they represent and their families are entitled to the rights set out at paragraph 12 of this Petition. (B) A declaration that the actions and omissions of the respondents violate the fundamental rights and freedoms of the 1st to 10th petitioners, the persons they represent and their families set out in paragraph 12. (C) An injunction restraining the respondents, their servants, agents or others acting on their behalf or instructions from demolishing houses, terminating leases or tenancies, transferring or alienating the suit premises or in any other manner evicting the petitioners and the persons they represent from the suit premises. (D) An order compelling the respondents jointly and severally to reconnect sewerage systems, water supply and toilet facilities to the suit premises. (E) An order compelling the respondents to avail all information relating to the suit premises including but not limited to the following; resolutions of all the organs of the 1st respondent that authorized the demolition, alienation of the suit premises, sale and eviction of the petitioners. a) One (1) year notice in writing to the petitioners and all affected persons and the parties herein to hold public hearings on the proposed plans and alternatives and those petitioners may act in person and or through their advocates and or representatives. b) During such hearing, the petitioners be given opportunity to challenge the eviction decision and to present alternatives proposals and issues priority rights and interests, which shall be incorporated in the final decision. c) Prior to such meetings and hearings, the respondents shall furnish the petitioners in advance with all relevant information in advance and including land records and a comprehensive proposal on the resettlement plan specifically addressing the petitioners’ rights in the petition herein and all rights of vulnerable persons. d) The proposal in (b) above shall incorporate reasonable time for public review of, comment on, and/or objection to the proposed plan. “(a) The 1st respondent has issued a notice for eviction threatening to demolish the houses of the petitioners and all other residents of Muthurwa Estate. (b) The 1st respondent has disconnected water from the suit premises and has destroyed some of the sewerage systems, water supply and toilet facilities, perimeter fence and other amenities used by the petitioners and other residents of Muthurwa Estate. (c) That the petitioners and residents of Muthurwa Estate who comprise of the old, persons living with disabilities, children, widows will be greatly prejudiced and stand to suffer irreparable loss and damage if the 1st respondent proceeds to enforce the eviction notice. (d) That the issue brought for determination in this petition will be rendered nugatory if the demolitions and threats of further demolitions are not stopped. (e) That the respondents do not stand to suffer any prejudice if the prayers sought are granted. On 28th October, 2010Maraga, J granted interim orders restraining the respondents from demolishing, evicting, terminating leases or tenancies of the petitioners or transferring or in any way interfering with or alienating the suit premises. In her affidavit in support of the petition, the 1st petitioner stated that she is a resident ofMuthurwa Estate (Land Reference Number Nairobi L.R. No. 209/6502) along Landhies Road where she has lived since birth, on 12th December, 1960. She got married to one George Omusema Shikhule in 1979 who was by then an employee of the then East Africa Railways and Harbors Corporation and living in the same estate. Her husband died in 1996 and left her the sole responsibility to take care of their children. After the death of her husband she was offered employment as a casual labourer by the Kenya Railways Corporation and worked from January 1997 to 2002 when she was retrenched. When she started working for the Kenya Railways Corporation the 1st petitioner was paying rent of Kshs.120/= to the said corporation but the rent was gradually increased to Kshs.800/=. Sometimes in the year 2006 or thereabout the management of the Muthurwa Estate, hereinafter referred to as “the estate”, was transferred and vested in the trustees of the Kenya Railways Corporation Staff Retirement Benefits Scheme, the 1st respondent. That was done videLegal Notice No. 169 of 7th September, 2006 published in the Kenya Gazette. The 1strespondent was established through a Trust Deed dated 3rd May, 2006. 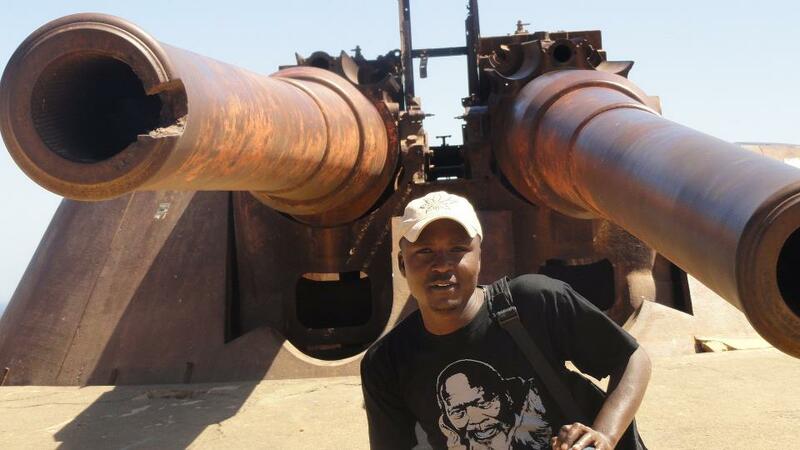 Thereafter the rent was increased to Kshs.2,500/=. The estate is mainly comprised of low income earners paying similar monthly rent as the 1st petitioner. After the 1st petitioner lost her employment in 2002 she began a small business of selling food stuffs until September, 2010 when she got another casual job. She was paying rent for her house through the 1st respondent’s bank account but in July 2010 the residents of the estate were informed by the bank that it was no longer collecting rent on behalf of the 1strespondent. Shortly thereafter the 1st respondent gave both verbal and written notices to all the tenants in the estate to vacate the suit premises. The written notice was issued on 1st July, 2010 and the residents of the estate were required to vacate the suit premises within 90 days from the aforesaid date. 17. That I am advised by my advocates, which advice I verily believe to be true, without prejudice to the respondents’ joint liability as set out in the petition herein, that the 1st respondent by themselves possess sufficient financial means and properties and evicting the petitioners from the premises is not a priority in that, pursuant to several recent audit professional reports and financial status of the 1st respondent, the 1strespondent possesses land assets of estimated forced sale value of Kenya shillings seventeen (17) billion. Now shown to me annexed hereto and marked “SA7” is a copy of such report. “(a) Rendering the petitioners homeless and expose them and their property to insecurity and threats on their persons. (b) Adversely interfering with the children’s access to education. (c) Subjecting the residents to hygiene related diseases. (d) Subjecting the children, the elderly, and persons with disabilities to indignity. (e) Generating internally displaced persons and homeless people. (f) Disintegrating the family unit. “(a) One (1) year notice in writing to the petitioners and all affected persons and the parties herein to hold public hearings on the proposed plans and alternatives and those petitioners may act in person and or through their advocates and or representatives. (b) During such hearings, the petitioners be given opportunity to challenge any eviction decision and to present alternative proposals and issues, priority rights and interest, which shall be incorporated in the final decision. (c) Prior to such meetings and hearings, the respondents shall furnish the petitioners in advance with all relevant information including land records and a comprehensive proposal on the resettlement plan specifically addressing the petitioners’ rights in the petition herein and all rights of vulnerable persons. (d) The proposal in (b) above shall incorporate reasonable time for public review of, comment on, and or objection to the proposed plan. The 1st petitioner further stated that the title to the suit land specifies that the land may be used for residential purposes only. She annexed a copy of the title to her affidavit. “(a) The centre exists to empower Kenyans to understand, respect, promote, demand and effectively access their human and people’s rights and obligations in pursuit of a just and equitable society through self governance. The Executive Director stated that she had instituted this petition on her behalf and in the public interest of the petitioners residing in the estate pursuant to Article 22 (1) of the Constitution of the Republic of Kenya. She further stated that her involvement in the matter started after a group of about 20 residents of the estate went to the offices of Kituo Cha Sheria to discuss their predicament as they were in dire need of legal advice in view of the looming demolition of the estate. Thereafter she attended a residents meeting at the estate and obtained authorization from the Board of Directors of the Centre to be one of the petitioners. The 12th petitioner stated that during her visit to the estate she noticed that the perimeter fence had been demolished and water supply had been disconnected as a result of which water vendors were selling water at Kshs.30/= for a 20 litre jerrican. She advised the residents that the aforesaid actions were not allowed in law as a strategy for evicting tenants. She added that the respondents’ acts and omissions constitute an infringement ofArticle 43 (1) (b) of the Constitution which obligates the respondents to respect, protect and guarantee the right to accessible and adequate housing, and to reasonable standards of sanitation. In his affidavit in support of the application, Professor Yash Pal Ghai, the 11th petitioner, stated that he is acting on his own behalf and in the public interest of the other petitioners in defending and upholding the Constitution of the Republic of Kenya. The 11th petitioner is a celebrated Professor of Law who has taught law in several universities world over since 1963. He has also published several books and articles on public law and human rights. He has further assisted in the drafting of constitutions in 18 countries including our own Constitution. “6. That I have done extensive research and analysis on human rights including in great detail economic, social and cultural rights and in particular the right to housing. I am aware of State obligations in respect of the right to housing as explained by the Economic and Social Rights Council and other United Nations Treaty Bodies. 7. That I am aware that the State obligation to respect the right to housing requires the State to refrain from interfering directly or indirectly with the enjoyment of the right to housing. By enshrining the right to housing in the Constitution, there is a negative obligation placed upon the State and all other entities and persons to desist from preventing or impairing the right of access to information. This interpretation is supportive of the claim of the Muthurwa residents. 8. That I served as the Special Representative of the United Nations Secretary General on Human Rights in Cambodia where some of the issues of focus were evictions and forcible taking over of land from poor communities. At this time I did become aware and full conversant with the United Nations Eviction Guidelines. In the Muthurwa case, if evictions are deemed necessary the guidelines need to be followed. Annexed hereto and marked “YPG1” are United Nations Eviction Guidelines. Professor Ghai visited the estate at the invitation of the residents on 7th August, 2010 and supports the observations made by the 1st and 12th petitioners. He added that the residents’ right to inherent dignity protected by Article 28 and their right to accessible and adequate housing under Article 43 as well as other rights were being violated through the measures taken by the 1st respondent designed to force the residents move out of the estate. The 1st respondent filed a replying affidavit sworn by Caroline Nyororo, its Estate Manager and the Acting Chief Executive Officer. She stated that the 1st respondent is the registered proprietor of the suit land where the estate stands. This is a private property and not public land, she stated. She went on to state that on diverse dates prior to the year 2010 the 1st respondent issued letters of offer to various willing tenants subject to a formal tenancy agreement but the 1st respondent did not enter into such agreement. She added that the 1strespondent in line with the requirements of the Retirement Benefits Act to reduce or convert its fixed assets into liquid assets applied for change of user for the suit property to enhance the market value thereof and offer the property for sale to raise money to pay monthly pension to its members. The change of user was granted subject to several conditions. The 1st respondent then proceeded to contract the services of real estate agents to sell the properties upon subdivision which has been done and several offers have already been received. The 1strespondent issued notices to all the tenants in the estate and offered them an opportunity not to pay rent for two months and also to carry iron sheets and bricks. Majority of the tenants vacated their houses and took with them iron sheets and bricks but some vowed not to vacate, Caroline stated. This latter group of tenants have engaged the 1st respondent in various cases seeking to remain in occupation of the houses, having refused to pay rent. She further added that the 1st respondent has already been sued by some of its pensioners because of its inability to pay monthly pension dues which it had hoped to raise from the sale of the Muthurwa property as the rent from the said estate is not economical to meet the monthly requirements of the 1st respondent. It is also not viable to keep the houses as they are in a dilapidated state, the deponent stated. Regarding the perimeter fence, Caroline stated that it was removed by the contractor who was engaged by the City Council of Nairobi to expand Landhies Road where the 1st respondent had to surrender a portion of its land for road expansion as a condition for getting approval of change of user. She further stated that the water services were disconnected by the supplier, Nairobi Water and Sewerage Company, due to non-payment of bills as a result of tenants’ refusal to pay rent. The 1st respondent opposed the petitioner’s prayer for a conservatory order saying that they had no proprietary interest in the suit property and as tenants who had refused to pay rent they were merely entitled to one month’s notice so that the registered proprietor of the land could carry on with the intended developments thereon. The 2nd respondent filed a replying affidavit sworn by Nduva Muli, its Managing Director. The deponent admitted that the suit premises are owned by the 1st respondent. He denied that the 2nd respondent had infringed the petitioner’s fundamental rights in any way or at all. In his view, the petition as against the 2nd respondent is misconceived, speculative and frivolous. He added that Article 40 of the Constitution protects the right to own property which right extends to the 1st and 2nd respondents. He urged court to dismiss the application. The 3rd respondent did not file any affidavit. The parties filed written submissions and thereafter counsel highlighted the same, albeit briefly. I have carefully considered the submissions. There is no dispute that the 1st respondent is the registered proprietor of L.R. No. 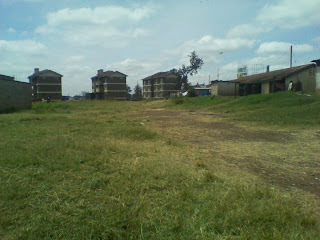 209/6502 where Muthurwa Estate stands. The 1st to 10 petitioners reside in the said estate. The petition as well as the application was presented by the petitioners on behalf of 359 occupiers and/or tenants in the estate. Some of the residents in the estate have lived there since birth and may have no other home. There is also no dispute that the 1st respondent desires to demolish this old estate and put up modern residential and commercial buildings thereon. In dealing with matters of this nature which may render some of the petitioners destitute and homeless unless the court intervenes, there are also private property rights of others which need protection, the court is faced with a clash of competing rights. Article 43 (1) (b) of the Constitution provides that every person has the right to accessible and adequate housing, and to reasonable standard of sanitation. Article 28 provides that every person has inherent dignity and the right to have that dignity respected and protected. How then should the court balance the competing interests between the tenants of the estate and the owners thereof? The Constitution stipulates that the purpose of recognizing and protecting human rights and fundamental freedoms is to preserve the dignity of individuals and communities and to promote social justice and the realization of the potential of all human being, see Article 19(2). Legal construction of Constitutional socio-economic rights cases in our new Constitutional dispensation must be anchored on the aforesaid principles in order to give effect to the fundamental rights stipulated in our Bill of Rights. I think the above observations by the South African Constitutional Court aptly apply to our situation in Kenya. The crave for a new Constitution in this country was driven by peoples expectation of better lives in every respect, improvement of their living standards and just treatment that guarantees them human dignity, freedom and a measure of equality. The petitioners submitted that the respondents have a duty to respect, protect, promote and fulfill the estate occupants’ right to housing. They accused the 1st and 2nd respondents of continued abrogation of their duty by resorting to selling parcels of the suit land without taking into consideration the rights of the 1st to 10th petitioners. The position taken by the respondents is that the 1st to 10th petitioners and all the other tenants they represent are simply un-cooperative tenants who have no right to remain in occupation of the 1st respondent’s property, having been given notice to vacate. Consequently, they should be dealt with in accordance with the provisions of Section 106 of the Indian Transfer of Property Act which requires a landlord to serve a fifteen (15) days’ notice of termination of tenancy upon a month to month tenant. They said that the 1st respondent has already been granted approval by the City Council of Nairobi to undertake the planned developments on the suit land and the necessary consent from the Commissioner of Lands to comply with the special conditions contained in the grant shall be obtained. Further, part of the suit premises has already been sold and transferred to the City Council of Nairobi or the Ministry of Local Government and a hawkers market as well as a “matatu” terminus constructed. The 1st respondent further submitted that the petitioners had not satisfied the requirements for granting a temporary injunction as set out in the case of GIELLA vs. CASSMAN BROWN CO. LTD  E.A. 358. They have not demonstrated that they have a prima facie case with a likelihood of success. They have also failed to show that they stand to suffer irreparable loss in the event that the orders sought are not granted. The balance of convenience is also not in their favour, it was submitted. As regards the prayer for an order to compel the respondents to reconnect sewerage systems, water supply and toilet facilities as well as restoration of the perimeter fence, the 1strespondent submitted that after the tenants received notice to vacate and thereafter obtained restraining orders in HCCC No. 365 of 2010, they refused to pay rent and the services provided by third parties were disconnected for non payment. There is an outstanding bill in excess of Kshs.13 million. Regarding the prayer to compel it to accept rent, the first respondent submitted that it had not refused rent as alleged and that its bank account where the rent was being deposited is still open. I have already stated that this application presents a rather difficult task of enforcement of the petitioners’ rights and freedoms guaranteed by our Constitution without infringing on the protection and enjoyment of the Constitutional rights and freedoms of the 1st respondent. The court must strive to reach an appropriate balance and in so doing, the court is enjoined to apply the various principles which I have already cited, see Articles 20 and 259(1) of the Constitution. “1. The land may be used for residential purposes only. 2. The Grantee shall not subdivide the land. On 19th October, 2010, the 1st respondent wrote to the Town Clerk of the City Council of Nairobi acknowledging grant of approval to subdivide the Muthurwa property. It is not clear whether the 1st respondent also required consent of the Commissioner of Lands. The 1strespondent also sought assistance to demolish “the dilapidated structures on the property in compliance with the subdivision approval.” It cannot therefore be denied that the 1strespondent intended to demolish the houses immediately upon expiry of the notice given to the occupiers thereof. As regards transfer of the suit land by the 2nd respondent, Kenya Railways Corporation, to the 1st respondent, the 2nd respondent’s Managing Director did not state in his affidavit whether consent of the Commissioner of Lands was obtained. Legal Notice No. 169 vide which the suit property was transferred and vested to the 1st respondent merely states that the 2ndrespondent, with the approval of the Minister had, in exercise of the powers conferred bySection 13(h) of the Kenya Railways Corporation Act, transferred the property to the 1strespondent. Section 13(h) above grants the 2nd respondent power to sell, let or otherwise dispose of any property, movable or immovable, which in the opinion of the Board is not necessary for the purposes of the corporation. There is however a proviso that the corporation cannot sell, let or otherwise dispose of any building or land placed at its disposal by the Government otherwise than with the consent of, and on conditions agreed by the Government. Such consent is ordinarily granted by the Commissioner of Lands. It was necessary for the 1st and 2nd respondents to demonstrate that consent to transfer the suit property was obtained by annexing a copy of the consent to their affidavits. This is an issue that requires clarification. In an application for an interlocutory injunction to restrain breach of a fundamental right, the court may have to go beyond the ordinary tests as stated in GIELLA v CASSMAN BROWN CO. LTD (supra). While the applicants must demonstrate that there has been breach or threatened breach of their Constitutional rights and thereby show that they have a prima faciecase with a likelihood of success, the court has a duty to consider whether grant or denial of the conservatory relief will enhance the Constitutional values and objects of the specific right or freedom in the Bill of Rights. The court is enjoined to give an interpretation that promotes the values of a democratic society based on human dignity, equality, equity and freedom. Dignity of the people ought to be a core value in our Constitutional interpretation. Muthurwa Estate is one of the oldest estates in Nairobi. Some of the people residing there and on whose behalf this suit was filed have no other homes and may not be capable of getting alternative accommodation within a period of two months due to their economic status. Kenya lacks appropriate legal guidelines on eviction and displacement of people from informal settlements and even formal ones, particularly in instances where low income earners have to be displaced from public or private land. Due to dearth of locally formulated policies and guidelines, the court has to consider the guidelines adopted by other countries whose Constitutions provide their people right to accessible and adequate housing like South Africa. The court will also consider the United Nations (U.N.) basic principles and guidelines. “15. Appropriate procedural protection and due process are essential aspects of all human rights but are especially pertinent in relation to a matter such as forced evictions which directly invokes a large number of rights recognized in both the international covenant on human rights. The committee considers that the procedural protections which should be applied in relation to forced evictions include: (a) an opportunity for genuine consultation with those affected; (b) adequate and reasonable notice for all affected persons prior to the scheduled date of eviction; (c) information on the proposed evictions, and, where applicable, on the alternative purpose for which the land or housing is to be used, to be made available in reasonable time to all those affected; (d) especially where groups of people are involved, government officials or their representatives to be present during an eviction; (e) all persons carrying out the eviction to be properly identified; (f) evictions not to take place in particularly bad weather or at night unless the affected persons consent otherwise; (g) provision of legal remedies; and (h) provision, where possible, of legal aid to persons who are in need of it to seek redress from the courts. 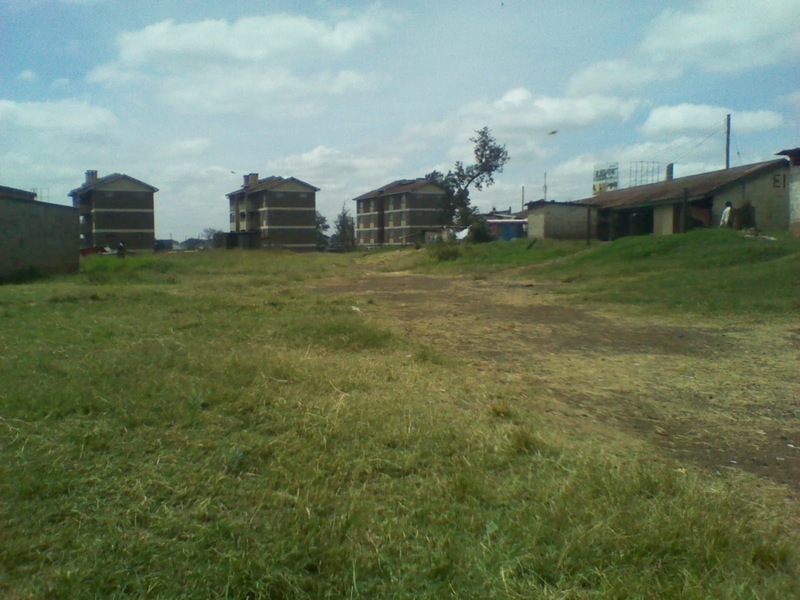 While the court appreciates the 1st respondent’s good intentions of developing modern residential and commercial properties on the suit land, subject to compliance with all the necessary consents and/or approvals, and recognizing that the said developments cannot be undertaken while the tenants of Muthurwa Estate remain in occupation of the dilapidated houses, the court cannot also overlook the fundamental rights of the tenants as highlighted hereinabove. At some particular point in time the tenants will have to move out of the estate but when that time comes, that ought to be done in a humane manner. The challenge of providing accessible and adequate housing as required under Article 43(b) of the Constitution is all evident. The problem of informal settlements in urban areas cannot be wished away, it is here with us. There is therefore need to address the issue of forced evictions and develop clear policy and legal guidelines relating thereto. In the circumstances of this case, I am satisfied that the petitioners have demonstrated that they not only have a prima facie case with likelihood of success, but also that their fundamental rights and freedoms have been violated or are likely to be violated. Article 23grants this court jurisdiction to grant an injunction in such instances. Consequently, pending the hearing and determination of the substantive petition the respondents are hereby restrained from demolishing, evicting and/or terminating the leases/tenancies of the 1st to 10th petitioners and all the other occupants of Muthurwa Estate on whose behalf this application and petition were filed. As regards the prayer to compel the respondents to reconnect sewerage systems, water supply and toilet facilities as well as replacement of the perimeter fence, that prayer is not granted. It has been demonstrated that the water supply to the estate was disconnected due to failure by the tenants to pay their monthly rents. Unless they pay the same the company that supplies water and sewerage services cannot reconnect the water. As regards the applicants’ prayer for an order to compel the 1st respondent to accept rent, I do not think that such an order is necessary because the 1st respondent stated that it has never closed the bank account where the tenants were depositing their rents. The tenants should continue to pay the monthly rents as they await finalization of this matter. Given that this application raises important Constitutional issues of a public nature, I do not deem it appropriate to condemn the respondents to pay the costs of the same to the petitioners. Each party shall bear their own costs. In conclusion, I must express my appreciation to all the advocates for the parties as well as Professor Yash Pal Ghai and Priscilla Nyokabi for their very helpful material provided in their submissions which made the task of preparing this ruling much easier than it would otherwise have been. The authorities and other materials supplied will be even more useful when the petition comes up for hearing. DATED, SIGNED AND DELIVERED AT NAIROBI THIS 17TH DAY OF FEBRUARY, 2011.